When you decide to live in a foreign country six-months or more a year, you begin to rethink the whole idea of owning a car. Given that our cars stand idle 95% of the time to begin with, it really doesn’t make much sense to own one as a part-time expat. Perhaps if all the planets line up in your universe - a car that’s paid off, you have free, secure storage and know a trustworthy person to drive it once in a while, you can continue to enjoy the convenience. I couldn’t check a single one of those boxes, so I gave up my nice wheels by year II in Mexico. In addition to Uber and Lyft, I anticipated using ZipCars. For a monthly membership fee, you receive a card that enables you to use cars for about $9.00 an hour (a three-hour shopping day will run about $27). The cute little things are parked all over major downtown areas. You book one, then pick it and drop it off at that location. To unlock one of the cars, you tap your Zipcard to the card reader on the windshield. When you return it, you lock up with your card too. I have never used one. Surprisingly, since I live in a downtown area Uber and Lyft have fulfilled my transportation needs, with an occasional ride on Denver’s excellent light rail. That being said, situations may come up for you as a part-time expat that warrant having a car for a month or two while in the States. There are times you want to drive, even when you don’t precisely know where you want to go or why you want to drive there yourself. After almost five years as an expat, I am considering renting a car for a month or two in the spring while my Denver apartment gets renovated during which time I may stay in the suburbs. I was interested to see if any new options have arisen since 2014, and felt it would be good information for anyone considering living in Mexico part-time. The first thing I discovered was that you absolutely must have one of the credit cards that provide rental car insurance as a benefit. Great deals can be found on rental cars, it’s the insurance that can more than double the rate. Capital One has several such credit cards you can apply for, as does Chase Bank, Wells Fargo and of course American Express. The coverage may not be comprehensive. If you don’t mind an up close and personal element in your car rental, a number of peer-to-peer car-sharing services like Turo and Get Around.com have sprung up where you can rent a person’s private car for longer periods. Kind of like Airbnb, the owner rents their car out through a website, meets you, gives up the keys and you drive off with their car. The company covers the insurance. You may save a little money, and some unique cars are for rent. You need to be on Facebook to participate, as that is a big part of establishing your identity, again like AirB&B. My problem with this kind of car sharing is the same reason I avoid borrowing friends’ cars. If someone hits me, even if it isn’t my fault I’d have the deliver the news that their car’s been damaged. Using a rental car agency, I’d only have to tell the employee behind the counter (the one with no vested interest) It is similar to why rock stars still stay in hotels. Even if they behave, they can’t count on everyone around them doing so. According to Autoslash CEO Jonathan Weinberg, if you are renting for several months and using traditional car rental companies, you need to rent by the month only for the following reasons. 1. Many insurance policies either through a personal auto policy or a credit card won’t cover a rental of more than 30 days in duration. 2. Many rental companies offer $50 off a monthly rental, so by renting a month at a time, you can take advantage of this discount each month. If you rent for say 2 months, the $50 coupon will only come off once. 3. By renting one month at a time, you can continue to shop for better rates for the next month while you have the current rental.. If you are going to be in the U.S. for at least six months and plan well in advance, one option is LeaseTrader/Swapalease, where you take over someone else lease. I looked into this option before giving up my leased car. They had excellent customer service people but could never find a person to take over the lease on my SUV. Perhaps your luck will be better if you are looking for a car, but the company told me it does take time to make a match. No car rental company can give you the cheapest rates out there all the time. While the discount car rental companies may be cheaper most of the time, there are plenty of times they are not. I recently compared prices from Enterprise, for example, a company I’d grown to love because they have been there for me in the most isolated of burgs. I used them going from Snowshoe to Elkins, West Virginia every two weeks one winter. This time though, their rate was 50% more than all the others I checked. In doing my research, I went all the way through the rental process to the point of being asked for my credit card. They often only share the negative aspects, like that you have to invite them into your Facebook circles, at the end of the process. The base per-day prices for a midsize car given by the major car rentals sites were mostly the same, only varying by a few dollars. There were a few details worth noting and to be on the look-out for in addition to the daily rate, some of which would especially apply if you are a part-time expat renting for a few months. Maintenance and deposits - Maintenance requirements based on mileage can be required, and if you don’t do it, you could be “blacklisted” from the major rental companies, who share the information. Dollar, for example, had a minimum deposit of $350 is required which was higher than others and their full coverage insurance was higher, to these costs are not standard among rental companies. Some car rental companies, like Alamo and Fox Rental, only have airport pick-up and delivery. As a part-time expat rather than a vacation traveler, trips to the airport might be a hassle, plus having to pay airport fees attached to the invoice. Membership in car rental clubs, like Hertz, Avis, and National often don’t save you money. Hertz multi-month, as you might expect, caters to the business class, who will pay more for membership benefits like no-waiting in line, expanded car selection and newer cars, probably not a priority as an expat whose quality of life is no longer measured by the ability to shave 15 minutes off a wait in line. Fees matter, rock-bottom per day rates are often accompanied by an intriguing assortment of fees. The “Concession Recovery Fee” is an airport tax that the rental company is passing on to you (no wonder they don’t call it “Fee for us being located near the airport”). You might also have an Airport Access fee, tourism fees, and county business license taxes. Voters don’t mind visitors to their city funding their governments. Travel sites like Orbitz, Expedia, Priceline, and Hotwire have a car rental feature that you can use even when now booking a flight, another place to check for deals. If you have to buy insurance coverage, you might save a little money on collision insurance by booking online through one of these sites. I found the best way to go is with aggregate sites, like Bookingbuddy.com, LadyBug, Fare Finder, Autorental.com and AutoSlash, com. Just like Expedia compares rates among all the airlines to find you the best fare, these sites do the same with car rental companies (although in truth, a few car rental conglomerates own all of them). You can find amazing offers on these sites. I found a couple of mid-sized cars for under $500 a month, fees included! Is giving up your car the right choice for you? Do you think that you spend less than $500 a month on your car? You might want to think again. In surveys of a wide range of drivers, respondents said they spent an average of $345 per month on car expenses. But according to the AAA, drivers spend an average of $706 per month owning and operating a new car, more than double what the drivers thought they spent. Owning a car conservatively costs between $7,000 and $11,000 a year to operate, assuming a standard car, a good driving record, and no parking costs. According to the U.S. Department of Labor's Bureau of Labor Statistics, the average vehicle costs $9,576 per year to own and operate. According to Blue Book, the average cost of a new car is $36,000. People keep their cars an average of six years. With no financing, you might spend a little over $500 a month. But how many people pay cash for $36,000 dollar cars? With excellent credit, you may get an interest rate of under 3% for a 60-month loan (quite a commitment!). Without a down payment, you will pay another $2,700 over the lifetime of the car. If your credit is fair (620-659 points), your interest rate will jump up to 13.6% per year, or $13,894 in interest over the 60 months, a whopping $194 a month! Ultimately, whether you give up your car, like so many things in life, will likely be a matter of location, location, location. If you live in an urban area, not only do you have many transportation options, Zipcars, car-sharing, public transportation, and bikes, you also have the added incentive of avoiding costs specific to owning a car in a city, like parking and often higher taxes. Downtown parking fees for an evening can be outrageous, motivating even car owners to use Uber. Some cities are doing all they can reduce congestion by discouraging people from driving their cars downtown and use public transport instead. To that end, they are building fewer parking garages. All this causes even people who own cars to take Uber or Lyft. It’s easy to understand how transportation costs can soar without your noticing it if you are throwing Uber rides of $10-15 a time in along with the costs of owning a car. If you are dividing time between Mexico and a smaller town, have paid off your car and own a home (that hopefully, you are renting out while you are in Mexico), you might have access to a garage for storage and fewer public or car-sharing transportation options, which totally changes the paradigm. Maybe your cousin or a trusted neighbor can keep an eye on your care while you are in Mexico - if they’re not too jealous of you and your new lifestyle. Many services today are making part-time expat life possible like never before. These on-line resources practically shout out to you to take advantage of them and create a new life, one fluid enough to change on a dime. Related links: I am surprised how many people my age have never used Uber or Lyft. As a part-time expat, the car sharing service is likely to be part or your life in one end of the journey or the other. Up next: italki offers a gorgeous site to help you hire language teachers and conversational tutors. Here are tips to use the site in the most cost-effective way. Most recent: Puerto Vallarta brings up conflicted feelings in me until I read Katie O’Grady’s blog. 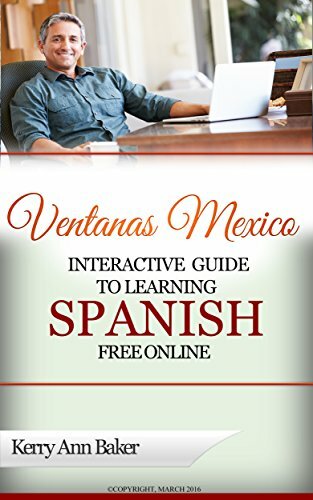 Kerry Baker has written two books, the Interactive Guide to Learning Spanish Free Online and If Only I Had a Place. The Interactive Guide takes you through all the free tools available on the web for learning Spanish, curated and organized into lesson plans by level. The Guide enables you to create your own unique lesson plan every day, and avoid the ruts that soon discourage you from studying and learning the language. The book is support by a special webpage on this site. 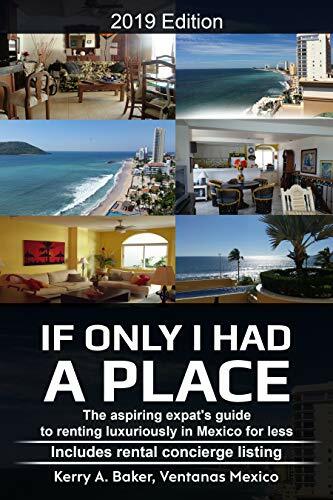 If Only I Had a Place is a guide to renting in Mexico, the things that realtors do not want you to know about renting in Mexico, the special opportunities you have as an expat and the pitfalls of renting in a foreign country with fewer legal protections. Puerto Vallarta - A Resort or Real Mexico?